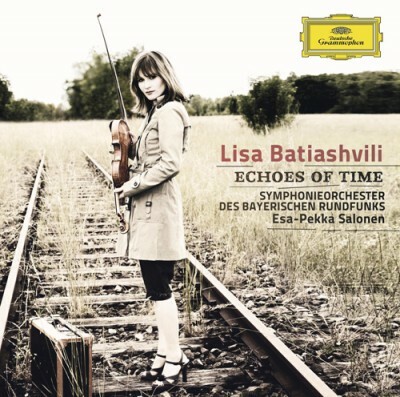 StartseiteHome BRSO Media Center CDs & DVDs Lisa Batiashvili: "Echoes of Time"
Lisa Batiashvili: "Echoes of Time"
Dmitrij Schostakowitsch's great Violin Concerto No 1 is the centre of Lisa Batiashvilis concept album. The Georgia-born pianist also plays works by Kantscheli, Pärt and Rachmaninow. She is accompanied by the Symphonieorchester des Bayerischen Rundfunks conducted by Esa-Pekka Salonen.